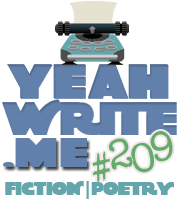 This entry was posted in Jade Dragon, Poems, Writing and tagged drottkvaett, fiction, jade dragon, poem, poetry, poetry slam, speakeasy, yeah write. Bookmark the permalink. You’ve created an amazing atmosphere. I love lines 1 & 5 especially. Love the promise in this and the hope. Nice! Even though he’s wandering, he still believes. I like that. You don’t have a character name in here so I don’t know POV in relation to the Jade Dragon tale. Did this inspire a new scene? Oh, the alliteration–it sings to me!